When I was around ten years old, I came across the story The Pit and the Pendulum by Edgar Allen Poe. That was my introduction to his work, and I loved it. Over the years, I read more of his stories and eventually his poetry and enjoyed it all. He’s in my top ten list of favorite authors, and more than one of his stories would be in my list of favorite short fiction. 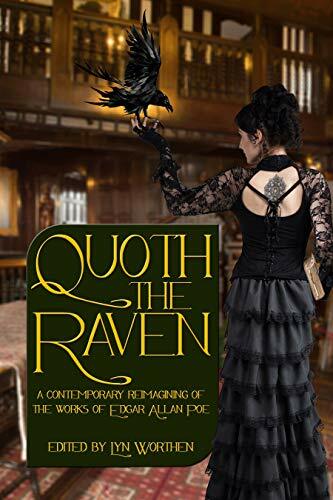 When I was offered the chance to read and reviewQuoth the Raven, an anthology of retellings of Poe’s stories by contemporary authors, I responded with a resounding yes.